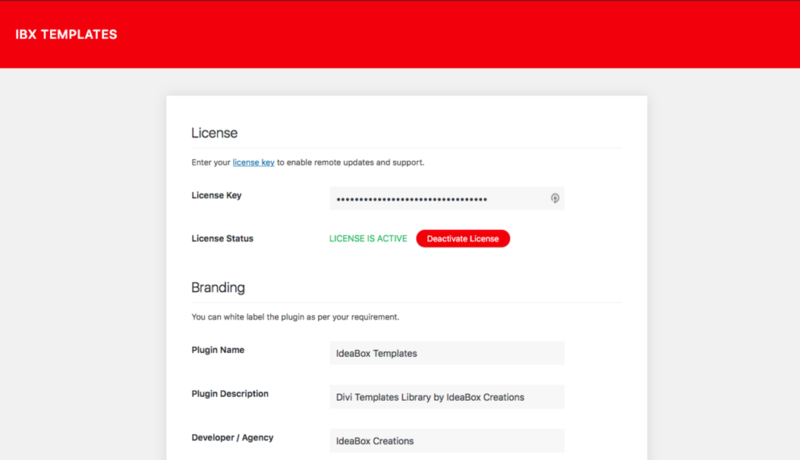 White Label Branding feature is available only with Pro and Lifetime Packages for Divi Monk. 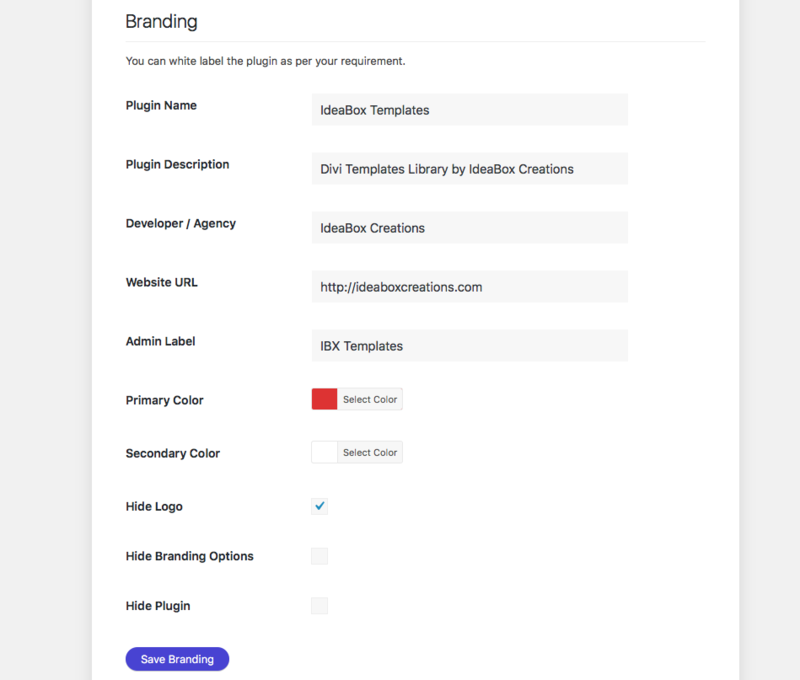 This feature lets you change the plugin name, developer/agency name, description, website URL, colors and even hide the plugin from the plugin list. You will see Branding Options where you can change all the details. Hide Logo option hides the Divi Monk logo from the Page Header. Hide Branding options hides the Branding form so your clients won’t see it. Hide Plugin hides the plugin from WP admin > Plugins list. To get the plugin back, you will need to deactivate the plugin via FTP and re-activate it from WP admin. Once the settings are saved, you can see the changes as below. Divi Monk logo isn’t visible in the header and the colors have changed. 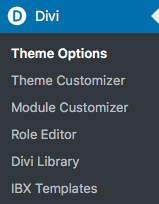 Menu Label changed from Divi Monk to IBX Templates. Plugin name changed on WP admin > Plugins list. Settings after using Hide Branding Options. Branding fields aren’t visible anymore.